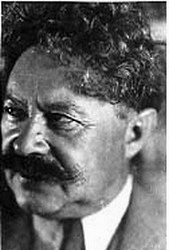 Shaul Tchernichovsky (1875-1943) was born in Mikhailovka, Russia, and grew up in a religious home that was open to the ideas of the Enlightenment and Zionism. He attended a modern Hebrew school, where he studied mainly Hebrew and Bible, and at age 10 entered a Russian school. At age 14, Tchernichovsky was sent to Odessa to further his education. He was especially interested in languages and his study of German, French, English, Greek and Latin enabled him later to translate extensively. In Odessa in the 1890s, he was drawn to Zionist and Hebrew literary circles. His first poems were published in Krakow in 1892. Failing to gain admission to a Russian university, Tchernichovsky studied medicine in Heidelberg, and completed his medical studies in Lausanne in 1905. Back in Russia, unable to find a post because he had not studied at a Russian university, he wandered from place to place. When his degree was finally recognized, he settled in St. Petersburg. At the outbreak of World War I, he was drafted and served as an army doctor. After the Bolshevik revolution his economic situation deteriorated and in 1919 he settled in Odessa, where he earned a poor livelihood as a physician. Three years later, he left Russia for good. Following a brief stay in Constantinople, where he attempted to secure a position as a doctor in Palestine, Tchernichovsky moved to Berlin. There he edited the natural sciences and medical section of an encyclopaedia, the literary section of a magazine, wrote stories and articles, and mainly devoted himself to translation (Sophocles, Goethe, Moliere, Shakespeare, and others). In 1931 Tchernichovsky was commissioned to edit The Book of Medical and Scientific Terms (in Latin, Hebrew and English), and thus was able to settle in Palestine. After he completed the work, in 1934, he became doctor of the municipal schools in Tel Aviv. 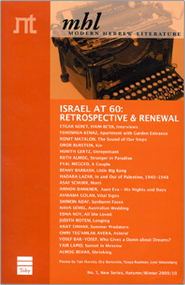 In 1936 he signed a contract with Schocken Publishing House, and moved to Jerusalem for the rest of his life.